What a night we have at our hands! 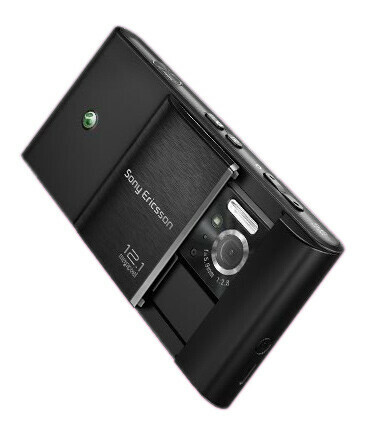 The show has just started and we already have information about what is going to be Sony Ericsson’s first all-in-one device, bearing the codename Idou. To make things simpler, let us say that this will be a walkman, a cyber-shot and a smartphone in a single device. The manufacturer has provided its device with a 12.1-megapixel camera and a Xenon flash. The Idou seems to have a 3.5-inch display in 16:9 widescreen format with resolution of 640x320 pixels, making it truly enjoyable to watch full-lenght movies on the handset itself. As a smartphone, the Idou is going to run the Symbian S60 operating system. Release dates are scheduled for sometime in the second half of this year. Well, this does not sound that bad at all and it seem like we’re about to face the next camera phone rivalry soon enough. 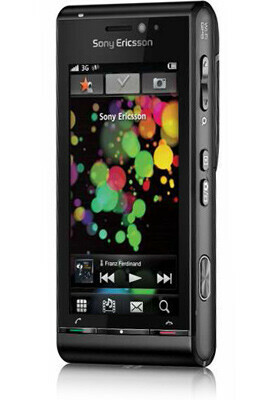 Here are the first official images of the Sony Ericsson Idou. Stay tuned for more on this device later! What a marvellous phone, I hope Sprint will release this phone sometime this year. sprint doesnt carry sony ericksson, itll most likely go to AT&T. Or T-mobile. Either way I don't think there is a single CDMA SE phone so Sprint and Verizon are probably out. If there was one phone to change that thought I would hope that this would be it (not going to hold my breath though) I just hope there is a US carrier period. SE seems to be going the Nokia route and just releasing their phones high end phones unlocked. I like the concept but realistically the US isn't really there yet. Phone subsidies still drive the market and people just aren't willing to shell out $700 or so on an unlocked device. How did the i phone have any credit for starting this ? What ever this is? The i-phone camera is not good and wont even shoot video. This phone is for the people who dont want to carry a camera and a phone. Now they have an awsome camera and a phone in one, this will be amazing phone when it comes out. Yes, without a doubt this is one phenomenon that you can't give credit to the iPhone for. The camera in the iPhone has been a point of contention for a while. Why !! why did they introduce this phone this late !! I waited to long for a SE touchscreen phone, that didn't run on Windows and has at least a 5MP camera, 2,8inch touchscreen and a xenon flash. 12MP is a little to much if u ask me. I bet they didn't put a optical zoom in it. But this is a really nice phone for sure. My next phone will be a SE for sure. (For now I need to make the best with my Samsung Pixon) If they only came a little sooner !! Mmm Well This Phone Would Be Better Unlocked, Since The Companies Put A Lot Of Restrictions On It.......I Would Pay The $700 For It.